Nutrition facts on diet coke are important for us to know, especially if we are watching our calories or want to lead a healthy eating lifestyle. Beverages that are considered to be low calorie have 40 calories or less per serving. It's interesting to know that a 12 fl oz can of diet coke contains 0 calories. 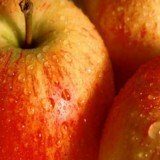 We will discuss this and the nutritional information a little further down this article. 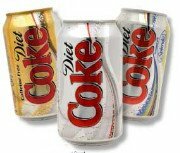 Diet coke, which is also referred to as Coca Cola Light, Diet Coca Cola or Coke Light was first introduced in the United States in 1982. Within two years it became the number one diet soft drink in the world. As of 2010, Coke Light remains the top-selling diet soft drink worldwide. It is a sugar-free soft drink which is ideal for those who are watching their calorie intake or are diabetic. Should they wish, they can add the beverage to their diabetic nutrition. 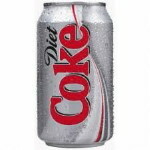 In the UK, Diet Coke calories for a 340ml can add up to around 1.3 calories (5 kilo joules) where as a regular can of Coca-Cola contains 142 calories (595KJ). Aspartame is used as an artificial sweetener. Diet coke and health concerns had come under scrutiny because of this "controversial" food additive. It became controversial, being labeled as a toxic substance by media coverage and internet rumors. However, aspartame is one of the most intensively scrutinized food additive. We will now take a look at the nutrition facts of a 12oz can of diet coke. 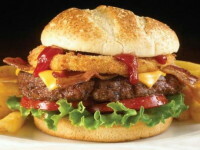 The percent Daily Value (DV) is based on a 2,000 calorie diet. As these diet coke nutrition facts show, it is not a significant source of trans fat, saturated fat, fat calories, sugars, cholesterol, fiber, iron, calcium and Vitamins A and C. Low-sodium beverages contain less than or equal to 140 mg of sodium per serving and diet coke passes into that group of beverages as the nutrition facts have shown. Very low-sodium beverages contain 35 mg or less of sodium per serving. 240ml (8 fl oz) of diet coke fit into that category. Sodium is a very important mineral that is found in many foods and beverages. It helps in the maintenance of your body's water balance. However, it is important that you do not exceed your recommended daily allowance. Doing so will lead to diseases such as hypertension, which is popularly known by many as high blood pressure. High blood pressure can also trigger other adverse health effects such as kidney failure, heart failure or heart disease just to name a few. Most of the fast food contains high amounts of sodium. McDonald's nutrition facts for their double cheeseburger reveal that it contains 1150mg of sodium. That's about 48% of your daily value based on a 2,000 calorie diet. Even worse, Applebee's nutrition facts for their Fiesta Lime Chicken have shown us that it contains a whooping 4380mg of sodium. This comes up to 183% of your daily value. You obviously would have more than exceeded your recommended daily allowance here. 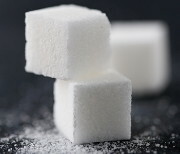 Most soft drinks are laden with sugar so much so that the term "liquid candy" has been coined for them. A 12 oz can of Mountain Dew (Pepsi Co) contains 46 grams of sugar, that's 9 and a half teaspoons of sugar! The same amount of Sprite and Coca- Cola Classic, manufactured by the Coca Cola Company, contain 38 and 39 grams of sugar respectively. This is a whole lot of sugar for just 330ml. It is therefore important that we know the soda nutrition facts before we gulp down several cans during the day. When you have this information under your belt, you will know what exactly you're putting into your body and the consequences thereof. You may learn more about the nutritional information of these drinks in the articles sprite nutrition facts and coca cola nutrition facts. As the above diet coke nutrition facts have shown, a 12 oz can of diet coke contains no sugar at all. When it comes to the diet coke caffeine content, we have seen that it contains 46 mg per 12 fl oz serving. So what is caffeine and where is it found? Caffeine is naturally present in the leaves, seeds or fruits of more than 60 plants. It can also be man made. Caffeine contributes to the overall taste of some sparkling beverages. It adds a slight bitterness and works well with both sugar and low-calorie sweeteners. When this happens you get that enjoyable taste. Caffeine is also used in energy drinks. Having caffeine in moderation has been shown to have beneficial effects on mood and mental performance in many people. According to the United States FDA (Food and Drug Administration) in- depth review and research done, it concluded that the use of caffeine in sparkling beverages would not harm a persons health. Learn more about caffeine in the article caffeine nutrition facts. Coke Zero, also referred to as Coca-Cola Zero was mainly developed for the masculine clientele. This is because though men may have wanted a sugar-free version of Coca-cola, which was Diet Coke (before the introduction of Diet Coke). The term "diet" put some sort of reluctance on men from purchasing the drink. Due to the fact that the term diet is normally associated with women. So you will notice that in the United States, marketing for Coke Zero is directed toward men and activities often associated with masculinity. They are both sugar free. They are low- calorie soft drinks. They both contain the artificial sweetener Aspartame as well as carbonated purified water, preservatives and caffeine. Artificial Sweeteners Diet Coke contains one artificial sweetner; Aspartame. Coke zero contains two artificial sweeteners which are Aspartame and Acesulfame Potassium (Ace-K). Formulas Diet Coke uses a completely different formula. Coke Zero uses the same formula as Coke classic. Flavor Varieties Diet Coke comes in a variety of flavors. These include original, black cherry vanilla, lemon, lemon lime, raspberry, orange, lime, and green tea. Coke Zero only comes in original cola flavor, vanilla, and black cherry. Launching Diet Coke was introduced in 1982. Coke Zero was launched in 2005. Marketing Diet Coke marketing was targeted to the females. Coke Zero marketing is mainly targeted toward the males. This is a mix that is popular for those who want to drink on a diet. When compared to the beer calories of other alcoholic drinks and mixes, rum and diet coke nutrition facts have shown that it is lower in calories and fat. It has 65 calories per 6 oz (170 ml) serving whilst 4 oz serving of Brandy Alexander has 246 calories. Given the diet coke nutrition facts, it's make up and all the information that comes with it we're confident you're more than ready to make your choice and decide whether to ditch Coca-Cola classic and switch to Diet Coke or Coke Zero. Or still go ahead with it. As with everything in life, the decision is solely yours. Especially when it comes to what you're putting into your mouth and ultimately, your body.